The Whole Megillah (TWM): What prompted you to write Searching for Lottie? 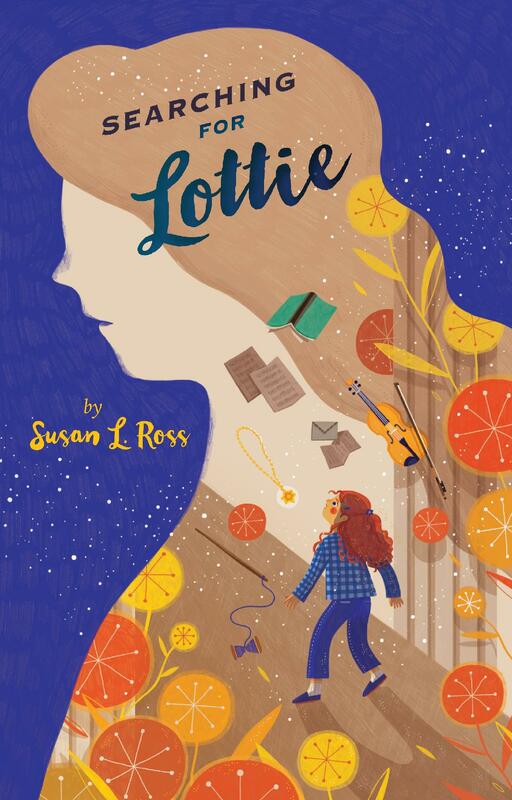 Susan L. Ross (SLR): In Searching for Lottie, I hoped to take a new, contemporary approach to a difficult but essential topic for kids to learn about and absorb. When our son did a seventh grade project about my mother coming to America as a refugee before the Holocaust, I was struck by how much it meant to him to learn about our family’s history. I think most kids want to know more about their families and will relate strongly to Charlie’s quest. My middle name, Lotte (“Lottie” in English), was given in memory of my mother’s cousin, a lovely young woman who did not survive. I grew up looking at her photograph and wondering about her life. Another relative, Magda Szemere, was a renowned violinist in Europe before WWII – I inherited her music journals and other papers. One day, I decided to Google Magda’s name and to my astonishment, discovered her gramophone recordings for sale on eBay! She had sadly perished, but her music had been preserved in archives in Europe and in America. I became fascinated by the notion that although out family history was increasingly further away in time, it was also closer and more accessible than ever — both because of the incredible reach of the internet and also because of the emotional space granted by the passage of time – allowing kids like my son and Charlie to ask questions that would have simply been too painful for my generation. The ability of kids today to access and preserve family history is one of the key themes in Searching for Lottie. Readers can see the photographs and stories that inspired the book on my website, http://www.AuthorSusanRoss.com. SLR: I conducted research following the same steps that Charlie takes in the book – online searches, library research, pouring over details in photographs and other artifacts, and piecing together the experiences of family members. I didn’t know what had become of the “real” Lottie when I started this project, but eventually, I did discover her sad fate. In the book, I was glad to give the fictional Lottie’s life a more hopeful ending. TWM: How important was the Sydney Taylor Manuscript Award distinction to the submissions process? Are you represented, and if so, by whom? SLR: The Sydney Taylor Manuscript Award is a terrific opportunity for writers, and I especially love that this program encourages a diverse range of stories relating to the Jewish experience. I teach writing and always advise students to set personal goals on the long road to publishing. Winning the Sydney Taylor Manuscript Award felt like a significant achievement and added important momentum. Although it took several years and many more drafts before Searching for Lottie was finally published, the Sydney Taylor distinction was especially helpful in finding an agent – currently, I am represented by Susan Cohen at Writers House. Today, PJ Our Way offers another terrific way for Jewish themed books to be recognized, and I’m truly delighted that Searching for Lottie has been chosen for its program list! TWM: What was the greatest challenge in writing this book? SLR: My greatest challenge in writing Searching for Lottie was balancing Charlie’s daily world with a deep and difficult topic. Charlie is a determined and strong-willed 12 year old whom readers can easily relate to – she has her ups and downs, close friends, and a keen sense of humor, along with a lively but pesky older brother. For most kids today, WWII seems akin to ancient history. I wanted Charlie to learn more about her family as she comes to grips with the tragic reality of the Holocaust, while keeping kid readers engaged and without scaring young readers. It was also very important to me to celebrate the lives of those who were lost and reclaim them as full, wonderful individuals – not just overwhelming statistics. I wanted to give life and a meaningful legacy to Lottie. SLR: My greatest satisfaction was writing the voice of Nana Rose, unfailingly helpful and full of wisdom – besides being a wonderful baker of delicious pastries! Nana Rose truly represents my Viennese mother and her close circle of friends – the extraordinary refugee women I grew up with in Maine who moved forward with strength and determination in spite of early hardship and loss. TWM: What drives you to write for kids? SLR: I love writing for kids! I am happiest hanging out in a classroom, talking with students about books and literature. I’m dismayed by the current discord in our country and believe that books can help. My debut middle grade novel, Kiki and Jacques: A Refugee Story, tackles the challenges of our multicultural world – Kiki and Jacques is about a Somali girl and Franco-American Catholic boy in Maine, and features two Jewish characters. In school visits, I always ask kids to “brainstorm” a sequel from the perspective of a character from a different background. I love seeing how deeply kids connect with books, exploring and experiencing characters and worlds outside their own and building true empathy, so urgently needed today! SLR: My inspiration for this book came from family. My mother arrived in New York with her brother when she was 20; my grandparents were unable to flee Europe and did not survive. Now that I have a lovely daughter that same age, I realize more than ever exactly how brave my mother was and how thankful I am that she was able to create a life full of hope and promise for her children. Like Nana Rose, mom had encouraging expressions for every occasion: “If at first you don’t succeed, try, try again…” was one of her favorites. TWM: What’s next for Susan L. Ross? SLR: My next project returns to my roots in Maine. My father’s family were among the first Jewish merchants to settle in Maine, and my work in progress is a 1920s-era middle grade mystery set on the beach where our family has owned a cottage for more than 60 years. There are plenty of lobsters and a story about early aviation. Like all my writing, though, this book is also about growing up and discovering the wider world. 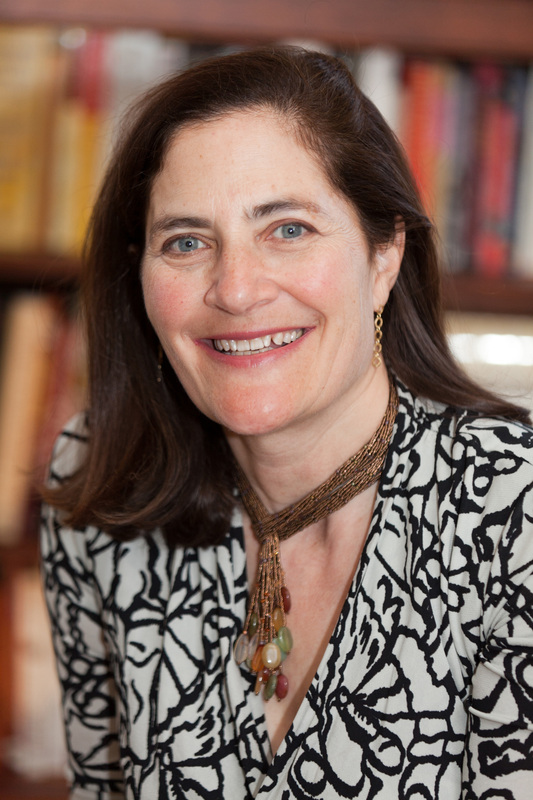 Susan Ross is an author and writing teacher who divides her time between Connecticut and Maine. Susan’s first middle grade novel, Kiki and Jacques: A Refugee Story, was a Bank Street Children’s Best pick. Susan’s new middle-grade mystery, Searching for Lottie, is the story of a 12-year-old girl trying to discover the fate of the young violinist she was named for after she disappeared during the Holocaust. The story was inspired by Susan’s own family’s experiences. Searching for Lottie won the Sydney Taylor Manuscript Award and has been chosen as a PJ Our Way selection book. Susan’s website is: http://www.AuthorSusanRoss.com. This entry was posted in Authors and tagged PJ Our Way, searching for lottie, susan l ross. Bookmark the permalink.